Selecting the right medical plan takes careful consideration. For most full-time employees, the Company offers medical plan options through United Healthcare (UHC); these plans include pharmacy benefits through OptumRx. You have 24/7 access to your UHC account information at www.myuhc.com. You can also use the site to find medical and pharmacy providers, place orders with the Mail Service Pharmacy, request new cards and print temporary cards. If you haven’t signed up already, create your account today. Recently hire or promoted to full-time? Learn more about your coverage choices through the Company’s plans through UHC below and via our Pre-Member Website. With either plan option, in-network preventive care is usually covered with no cost sharing, including well child, routine physicals, OB/GYN exams, mammograms and prostate exams. Costs will only be incurred if additional non-preventive lab work is requested. Also, many prescription medications are considered preventive and also covered with no cost sharing. Call the member number on your Medical Plan ID card to find out which preventive medications and services are covered at no cost. Coverage through the Choice Plus Plan (Options Plan in Wisconsin) is a more traditional health care option with a deductible, set co-pays and coinsurance amounts. With the Choice Plus Plan, you have the option to elect the Flexible Spending Account (FSA). Prescription costs are not counted towards the annual deductible; co-pays apply. 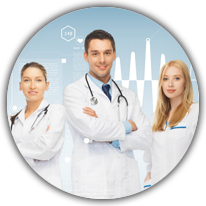 The Health Savings Plan is a medical plan with a Health Savings Account (HSA). The Company contributes to your HSA once your medical benefits go into effect: $500 for individual / $1,000 for family. Plus, you can contribute to your HSA tax free. Use your HSA money to pay your out of pocket health care expenses. All medical and prescription costs are applied to your deductible; after you meet the deductible, the plan covers 90% with 10% employee coinsurance. With the Health Savings Plan, you have the option to elect the Flexible Spending Account (FSA), but you may only use FSA funds to pay for dental and vision expenses. You cannot use FSA funds to pay for medical expenses when enrolled in the Health Savings Account. Your HSA goes where you go! Even if you change jobs, switch health plans, or retire, your HSA is yours—you own it, and the money carries over from year to year. If covering just yourself, the single deductible is $2,000 per year for in-network expenses. If covering yourself and your dependent(s), you must meet the full family deductible: $4,000 per year for in-network expenses. The expenses of everyone covered by the plan are added together to meet the family deductible. The maximum out-of-pocket expense for any individual family member will not exceed the individual maximum of $3,500 per year. Available to all members of any of the UHC plans above for certain non-emergency medical conditions like the flu, colds, pink eye, rashes and fevers. See and talk to a doctor from your mobile device or computer from a network of virtual provider groups, including Amwell and Doctor on Demand. Providers are expected to deliver care within 30 minutes or less from the time you put in a request for a visit. The cost of your visit will vary depending on your plan choice and will equal the cost of a physician or specialist visit; check your plan documents for more information about you plan’s specific costs. Consider home delivery for your 90-day prescriptions; it’s easy to get started! Request a prescription from your doctor for a three-month supply, with refills for up to one year (if appropriate), then contact OptumRx to fill your prescription. Cost savings: With free standard shipping, the average savings is 50% or more when compared to retail pharmacy pricing. By fax / ePrescribe: Ask your doctor to call 1-800-791-7658 for instructions on how to fax your 90-day prescription directly to OptumRx Mail Service Pharmacy. Or your doctor can send an electronic prescription to OptumRx Mail Service Pharmacy. Online: Log in or register at www.myuhc.com and select Manage My Prescriptions. By phone: Call the Advocate4Me phone number on the back of your plan ID card to talk with a customer service representative. It’s helpful to have your plan ID card and medication bottle available. The representative can also contact your doctor directly if you need a new prescription. Selecting the right medical plan takes careful consideration. 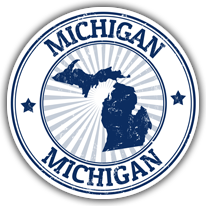 For full-time Michigan employees, the Company offers medical plan options through Blue Cross Blue Shield (BCBS) of Arizona; these plans include pharmacy benefits through Medco. You have 24/7 access to your BCBS account information at: www.mybenefitshome.com. You can also use the site to find medical and pharmacy providers, place mail orders for prescriptions, request new cards and print temporary cards. If you haven’t signed up already, create your account today. Coverage through the PPO Blue Plan is a more traditional health care option with a deductible, set co-pays and coinsurance amounts. With the PPO Blue Plan, you have the option to elect the Flexible Spending Account (FSA). The Company contributes to your HSA at the beginning of the plan year: $500 for individual / $1,000 for family. Plus, you can contribute to your HSA tax free. Available to all members of any of the BCBS plans above for certain non-emergency medical conditions like the flu, colds, pink eye, rashes and fevers. Health and safety support: Pharmacists are available 24/7 to help answer medication questions. Coordination: Express Scripts can help coordinate with your doctor; let them know and they will contact your doctor to get a new 90-day prescription and follow up as necessary. Register and order online: Log in or register at mybenefitshome.com and select Prescriptions Services to get started. Or order by phone: Call 1-800-652-9451 to talk with a customer service representative. It’s helpful to have your plan ID card and medication bottle available. Form 1095-C: What do I need to know? 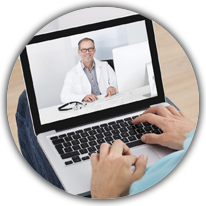 A virtual doctor’s visit—sometimes called telemedicine or eHealth—lets you see and talk to a doctor from your mobile device or computer. UnitedHealthcare and Blue Cross Blue Shield offer virtual doctor’s visits as a provider choice for Discount Tire employees enrolled in medical benefits. You have a choice of different provider groups depending on your plan’s virtual visit network; all are expected to deliver care within 30 minutes or less from the time you put in a request for a visit. The cost of your visit will vary depending on your plan. Check your plan documents (above) for more information about you plan’s specific costs. Don’t wait until you throw your back out or have a 102° fever to sign up for Virtual Visits! Sign up now via your healthcare plan website to easily access virtual visits when you need them.